Gigi Hadid and Zayn Malik have been breaking the hearts of fans with their whirlwind romance for quite a while now. A few months after they announced their second breakup, rumors of them getting back together are on the rise again. So, what’s really up? Are they in a relationship? Do they still have feelings for each other? A screenshot of the tweet that got fans hoping for a Hadid-Malik reconciliation. 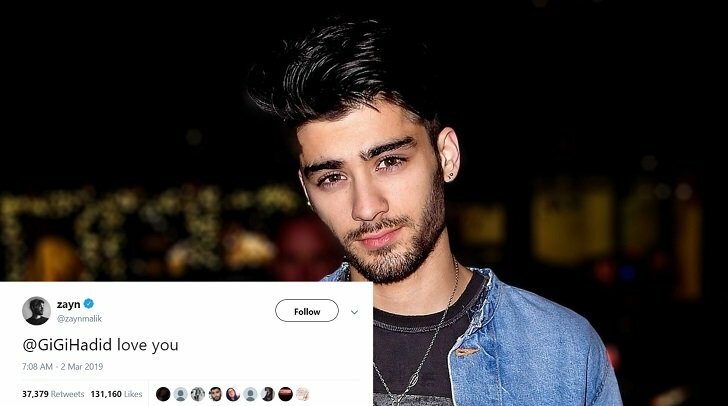 The rumor mill began turning again after former One Direction member Zayn Malik tweeted something pretty telling to his supermodel ‘ex-girlfriend’ last March. 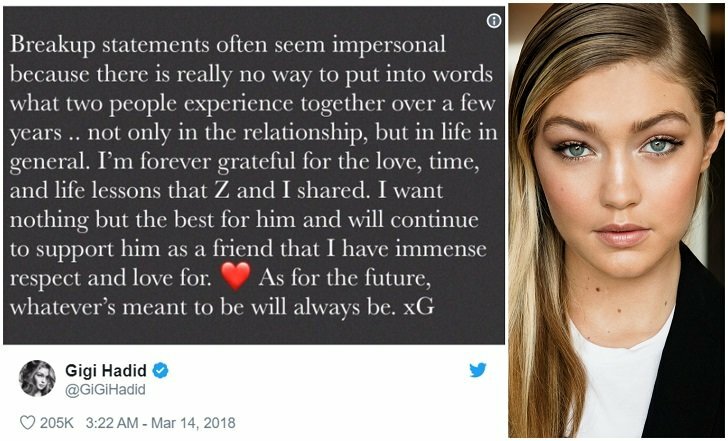 The tweet in the discussion simply said: “love you” along with a tag of Hadid’s Twitter account but it was enough to get everyone’s hopes up for the young couple working things out. Unfortunately, this doesn’t seem to be the case. According to reports from Us Weekly, Malik and Hadid still talk but has no plans of rekindling their relationship. Apparently, Hadid admitted that she still has feelings for her former beau but chooses to remain single seeing their incompatibility. Malik, on the other hand, is dealing with some undisclosed personal issues right now. Hadid and Malik began dating back in 2015. They met while both of them were fresh out of breakups from their previous partners. 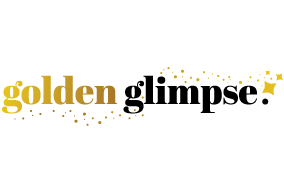 News of the couple’s second break up broke out early this year but some new outlets claim that the two hasn’t been together since November of 2018. Sources say that Hadid and Malik tried really hard to make their relationship work but wasn’t able to in the end. The failure of their second attempt at being together was allegedly prompted by Malik’s personal issues which Hadid helped him get through. In the end, Hadid failed to do so and cost her some of her friends. As one source said, the supermodel was so busy helping Malik she started cutting herself off from her circle of friends and ended up socially isolated. Their latest breakup came after nine months since they reannounced their relationship on Instagram in June 2018. Hadid’s official statement released after the announcement of their first breakup in March 2018. Hadid and Malik first breakup back in March 2018 after more than two years of dating and being the ultimate #couplegoals on Instagram. They ended on very friendly terms and each even released their own statement explaining their decision to their Twitter followers. In his statement, Malik described his relationship with Hadid as a meaningful, fun and loving one. He also apologized to his fans for not being able to break the sad news to them himself and having to read about their breakup via entertainment articles. Meanwhile, Hadid wrote a message that seemed to imply that she’s still open to reconciling with Malik saying that she’ll continue supporting Malik and that she’s grateful for the time they shared together. 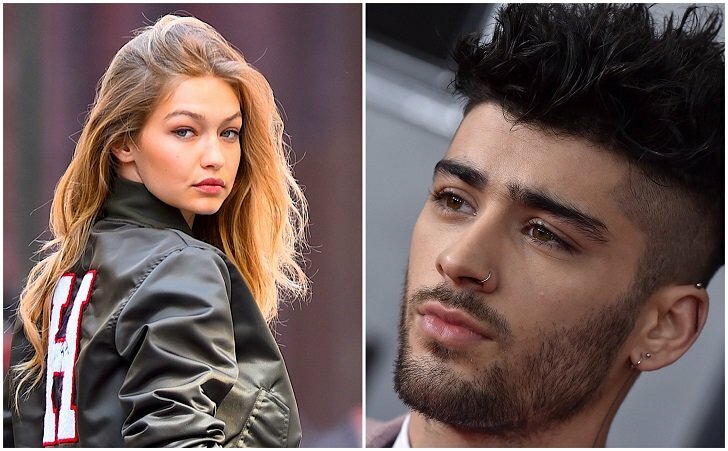 It’s safe to say, that ‘ZiGi’ is once again no more–well at least for now.